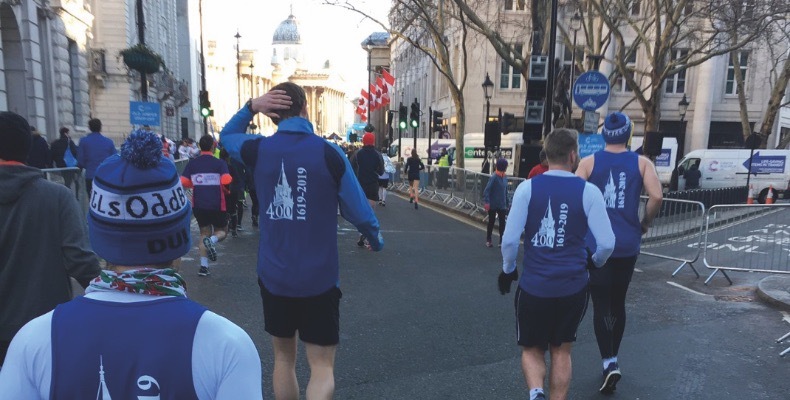 Fifty members of staff, 60+ pupils, parents and alumni from Dulwich College took part in the London Winter Run 2019 in February, raising a total of £17,895 for Cancer Research UK and the Dulwich College Bursary Fund’s 400th Anniversary appeal. Along the 18,500 other runners, ‘Team Dulwich’ completed a 10k circuit through the heart of the city, despite the cold temperature (-1°C when the starting klaxon sounded). The team clocked a number of impressive times, including many in the 30- to 40-minute range, and they enjoyed great support all the way around the course.